Medical Records Assistant: BSc with Diploma in Hospital Documentation/Medical Records Technology or equivalent. Technician Clinical Lab Services: BSc MLT Experience: 3 years experience in a Clinical Lab/Clinical Microbiology Lab/Blood Bank/Clinical Research Lab/Pathology or in the combination of all above in a reputed multispecialty Hospital with more than 200 beds or a reputed Clinical Laboratory. Nursing Superintendent: BSc Nursing + 10 years experience in a reputed Multispecialty Hospital with not less than a 200-bed facility. Nursing Assistant: +2(Plus Two pass) and Nursing Assistant Certificate Course from a minimum 100 bedded Hospital. Staff Nurse: General Nursing and Midwifery (GNM) with 3 years experience in a multispecialty Hospital with not less than 200 beds, preferably in cancer treatment. 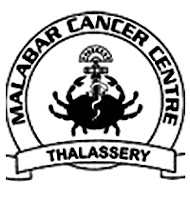 Eligible candidates can download the application form from the official site of Malabar Cancer Centre and send the filled up application form along with other details to The Director, Malabar Cancer Centre, Moozhikkara PO, Thalassery, Kerala-670103 on or before 10 August 2018.